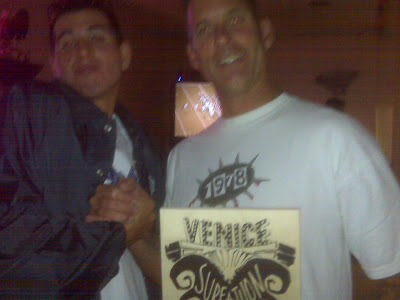 VeniceSurfandSkateboardAssociation: 16th Annual Surf-A-Thon Results! Well the surf was 1 ft and dribblin yet the 16th Annual VSA Surf-A-Thon went off again! 22 men women and children showed up to surf , compete and have a good surfing time.Results from SurfAThon 2009. Congrads to all the winners Hyden Anderson,Brook,Tyler Packem, Melenie Berry, Mary W, Jimmy ,William Staton . Matt Veltry, Eddie Morales. Thanks to Vic for the photos thanks to all the sponsors and to all for your help and participation.